It's a new month and a new linkup! 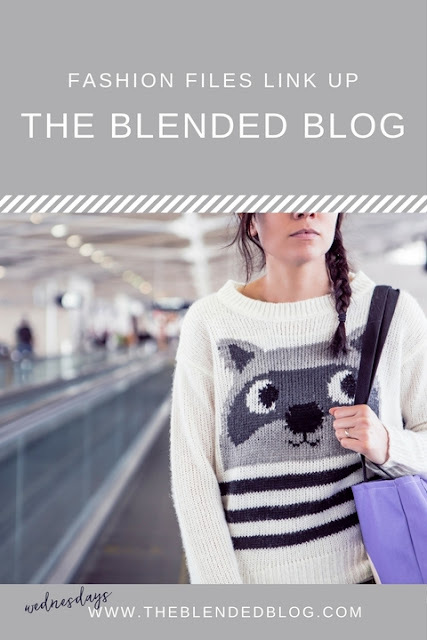 The ladies at The Blended Blog are taking style inspiration from Pinterest and other bloggers to recreate favorite outfits. 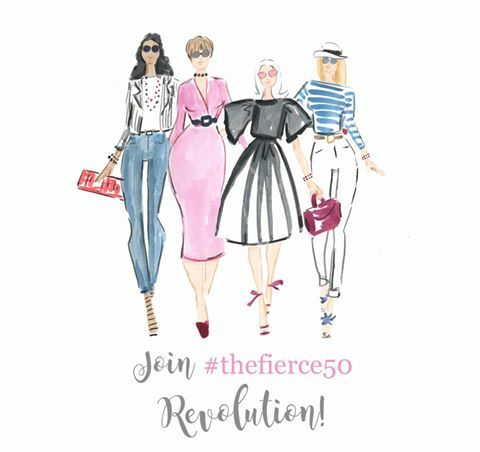 We hope you'll join us and link up your fashion posts below. Am I the only one who finds Pinterest overwhelming and confusing? Figuring it out is perpetually on my "to do" list, but I haven't conquered it yet. I usually end up in the rabbit hole and forget why I went there to begin with. But I wanted to give this a go, so I headed over and started browsing outfits. And it was really fun! Right away, I was drawn to all of the blue and white. It's such a crisp color combination, and perfect for spring and summer. This blouse came from a cute little boutique in my town. It's meant to be off the shoulder, but since I still haven't discovered the perfect strapless bra (suggestions, anyone? ), I pulled the arms up. My favorite part is the little bow ties. 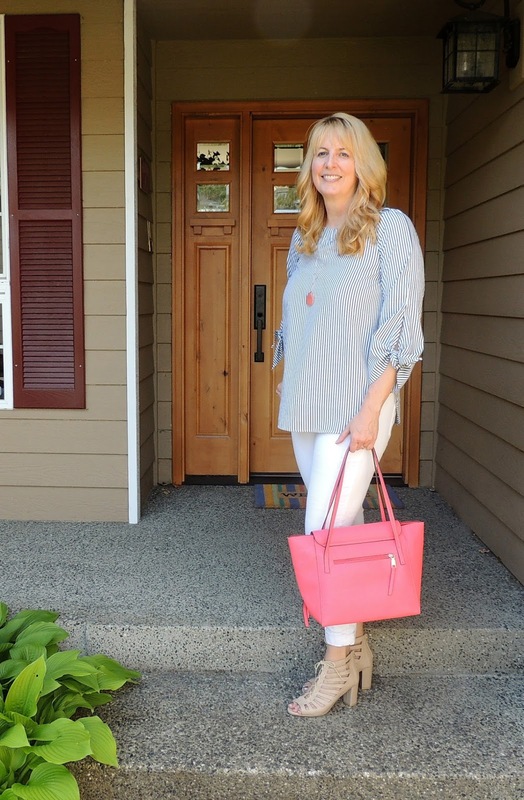 I need a little color in my life, so I added a mango bag and pendant, and finished off with some neutral stack heel sandals. Easy peasy. Now to figure out PInterest. Oooh how I LOVE that top!!! And how perfect is a pop of pink for you!!! Pretty as can be!! I love your take on your inspired look! That top is darling! I've been on the hunt for the perfect strapless bra forever too. Why are strapless bras so hard to find? I actually think I like it better the way that you wore it! I'm not sure how I feel about off the shoulder just yet but I just love those vertical stripes! Aww..thanks Whitney. Off the shoulder never feels very comfortable to me! beautiful! It's so much fun browsing outfits then making them your own! I love your interpretation of this pinned look Lana. Plus the outfit is so you. =) Great tote! 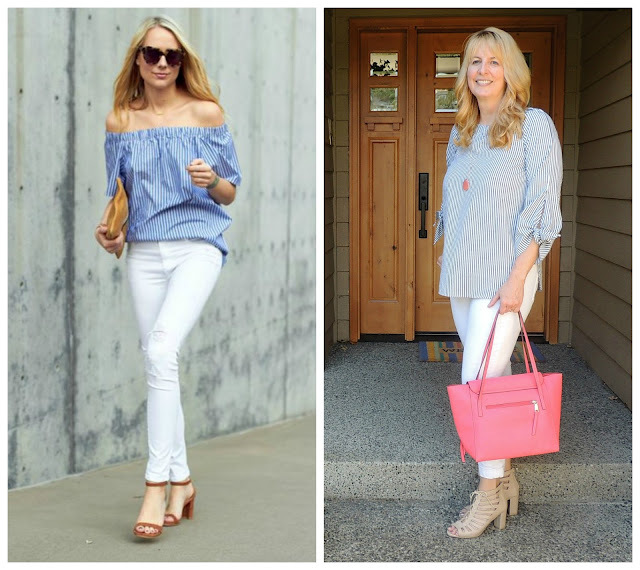 Welcome by and join my new Thursday Moda linkup this week. It is up a day early since it is my birthday. ;-) Thanks and happy hump day! Thanks Ada! Hope you had a great birthday! I love how you added the bag for some extra color! I am with you - if I can wear them on my shoulders - it actually more comfortable. I love this outfit so much! I think I need some blue and white in my life too. Blue & white is such a great spring/summer combo. I even like this top pulled up! You made this outfit your own by adding the bright necklace and bag. It's super cute! Look at you! Such a great look with the shoes and purse = perfection! That would be fun! Now I need to find someone with a yacht! To me, blue and white means summer! I guess it's that sailor look my parents favored when I was little. I miss it! I'd love to channel it again with a splash of pink or red. Yes! It makes me think of summer too! That is a pretty top! 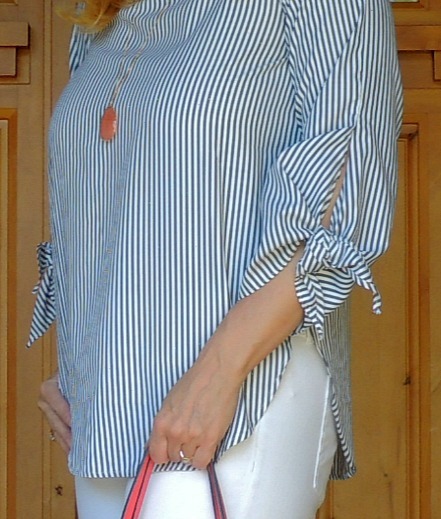 I love the classic stripes! Trying to get my head round Pinterest and make it work! Love this outfit with the crisp cotton top and gorgeous bag! I wish I could figure out Pinterest! 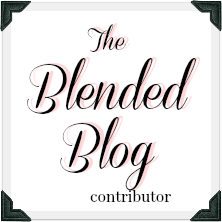 A blogger I follow who's blog is--Sheaffer Told Me To-- writes about a strapless bra she loves. Maybe that will help. I don't do the off the shoulder thing, but I do need a stapless bra sometimes. I got mine from Kohl's but I am very small on top. Not sure of the brand tho. Hope this helps you. Thanks so much for the recommendations. I will check them out!